Meet Jules. 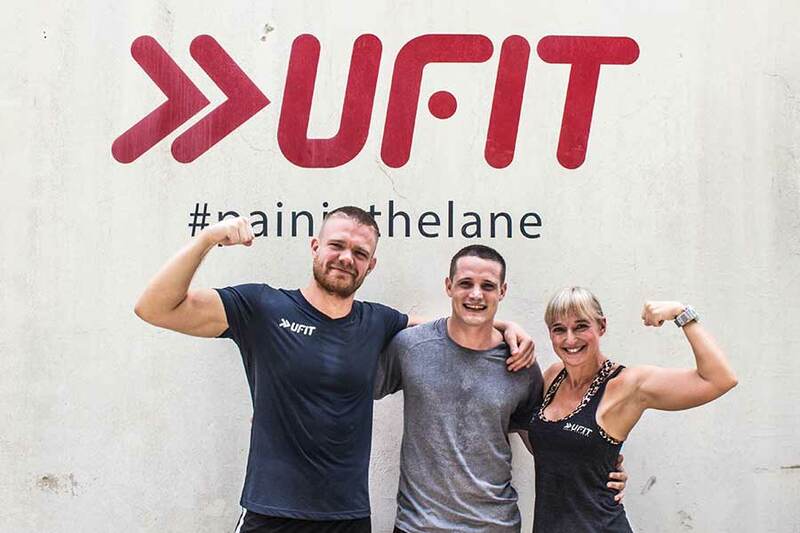 Having lost 11% body fat and 7.3kg everyone at UFIT who has met him has been inspired by his journey, and the changes he has made to his life, after training with Liam O’Neill (@Lrj_oneill), Personal Trainer at Amoy gym and being supported by UFIT Nutrition. One day Jules realised that he had to regain control and take an active role in his own health. His advice to anyone who wants to make a change, is to listen to your inner voice, find your own motivation and have good support, because when the training and the dieting get hard you’re going to need that extra push to keep you on track. But it’s worth it! 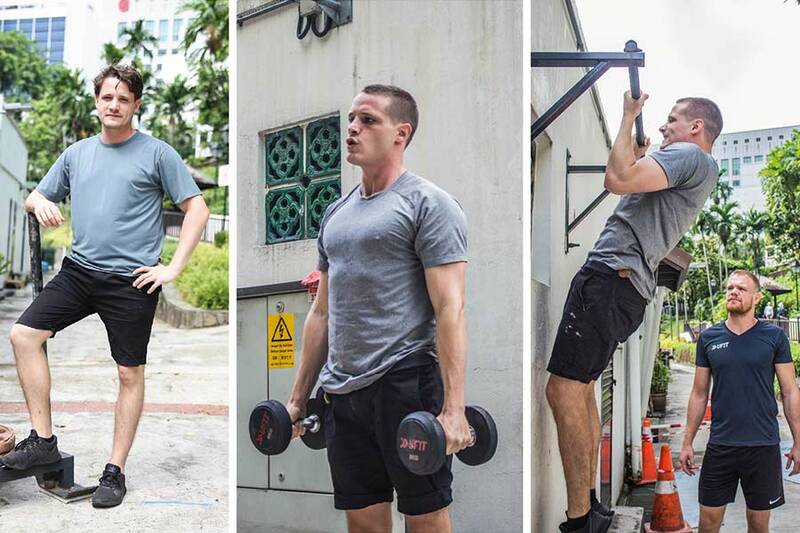 Q: We have seen the results for you after the Body Transformation right, but can you share with us what was your lifestyle like before you started this program? A: So I work in a Food and Beverage business, I work in a restaurant and so my lifestyle is very much around food, drinks and a lot of alcohol as well. I’d say I was confused with all the food that I was taking, drinks I was drinking and getting tipsy and all but I didn’t care that much about the impact it would have on my body. My lifestyle was pretty much like I was aware of it but I just let it go. I wanted to enjoy what I was doing when I was doing it, so I didn’t put too many limits or barriers regarding those food and beverage. It was just more free of constraints obviously. Q: What motivated you to get onto this program? A: Well first it was myself looking in the mirror, looking at bodyweight going up and the little belly popping in and everything. It was the people around me that knew me less fatty and they were like “Jules what’s going on? I knew you, you were more fit than that? What are you doing?” I said “yeah, I know, I am aware of it“ but you know it is some kind of change that need to come from me, within me. It needs to be my choice basically. So I just decided that I had enough of small remarks here and there and people telling me that I was putting on weight and I was like yeah I am going to change that the other way round so I am going to have people tell me “Jules you lose weight, Jules you getting stronger” and to be more confident myself and feeling more healthy myself. That is what triggered it. Q: Was it easy to give up the lifestyle before? A: Yes and No. It wasn’t easy because it takes a few months and I believe it depends, everyone is different right but for me it took a couple of months to say enough. It was easy in a way that from one day to another I switched lifestyle. Not to go back to the other one. Q: What was the hardest part of giving something up? Did you have to give up alcohol or anything in particular? A: You have to be picky about what you drink. I had to give up beer. I did a lot myself maybe one beer, two beer per month but I swapped to pure liquor and no soft drinks. I mean soda water, just sparkling water. It wasn’t easy for the food cause you have to stick to certain food items. I am lucky I work in a restaurant, so food is easily accessible for me and where I work, at my awesome café, I can have a range of food ingredients that are good for me but for other people that work in offices maybe, may be a bit more difficult. Q: Is there anything you would like to say to your friends who want to transform their bodies but don’t have the confidence to start? A: Well if you really want to make a change and if you feel there is an inner motivation, id say listen to that one. My best advice is to listen to the feeling you have inside you, the motivation that come from you because you can have 20 people around you telling you what to do but if you don’t make this choice, you’re not gonna make it happen so just follow your inner voice, your inner feelings. That is what is going to help to push you and keep you on track. Q: What was training with Liam like? Q: So which one is more difficult? Following a diet or following a training program by Liam? A: The difficulty of the diet is the consistency of it. Even If you can allow yourself maybe one day off per week where you can eat one meal a day, a cheat meal basically. Rest of the time, for a big period of time, let’s say 2, 3 months, you have to stick to good food and a certain diet, no matter the day, there is no excuses for that, you have to stick to it. 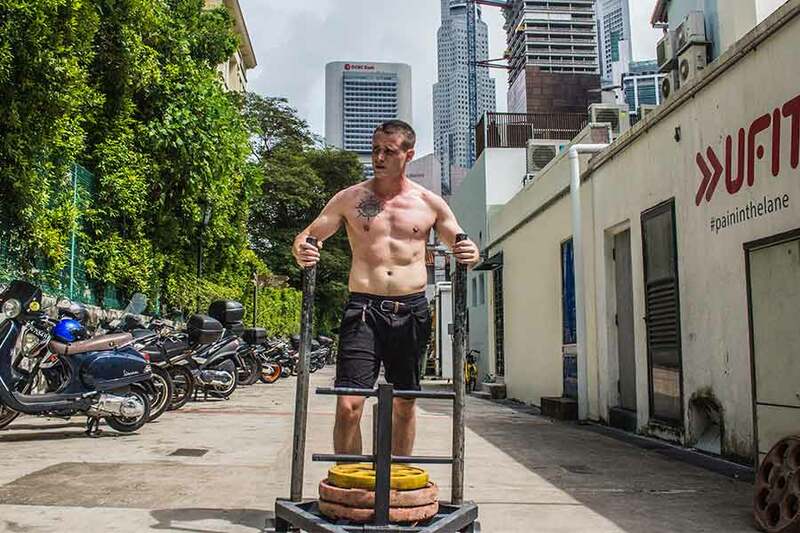 What’s hard in the training is that, it’s a short burst of time when at some point, in your head “I cant make that, I cant make it” and you have the pain and everything coming but just after you’re done, it is a good feeling. So it is a bit of both. Diet and training are hard but diet is harder I think. Training is fun, training is fun, every time you train you have to smile and you’re proud of yourself, you achieve something and the next couple of hours after the training and you get this boost of endorphins released in your body and you’re just happy. Training is fun, diet is not cool man.